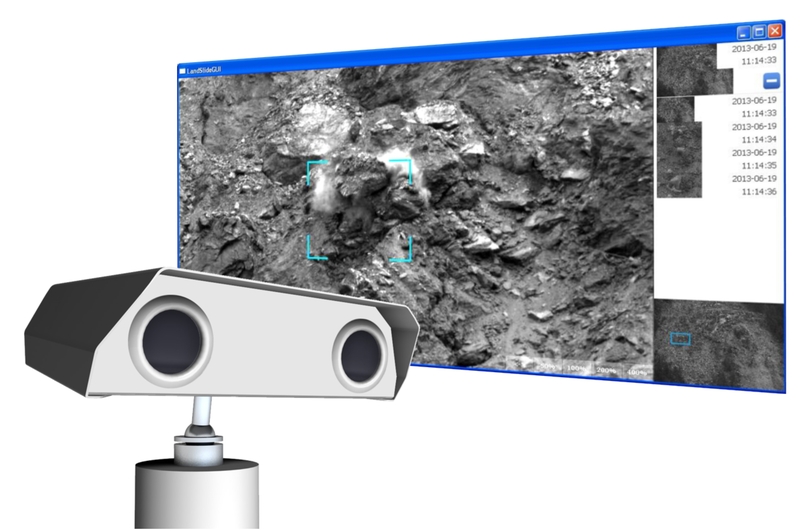 This Vision system is applied to the monitoring of areas and structures of wide dimensions and three - dimensionally dense analysis of any tracking anomaly in the movements in real time (landslides with early detection functions) and movement analysis on the long run. The innovative hardware and software technology developed in the KRIA laboratories, check even the tiniest movement in a 150mt rangte and do not need any auxiliary sensor (eg. Radar or laser) and sends alarms to a Central Server or a smartphone in real time.